The filler of this orthopaedic armchair ensures medium to firm support of the torso. And a straight back helps you improve your posture which will positively affect your spine. Legs on chair need tightening regularly. 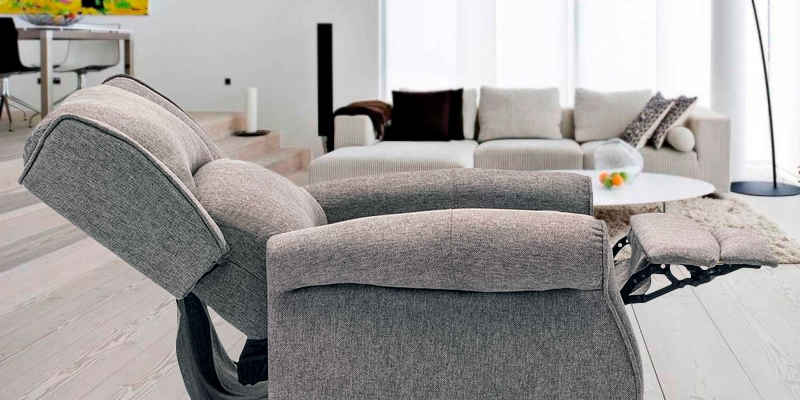 The EURODIVANI Wingback Armchair stands out thanks to its quality and robustness. It will suit your living room, bedroom or even office. 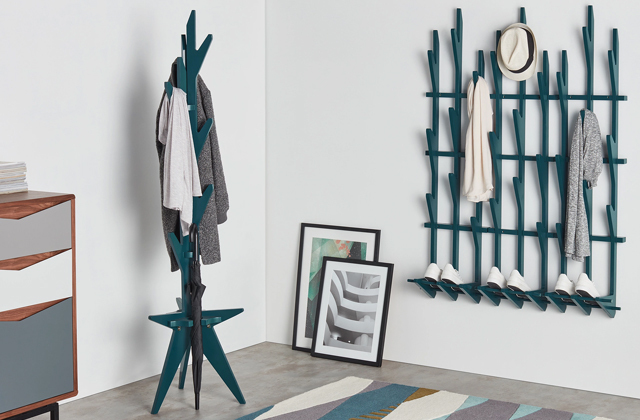 Thanks to the high back (70 cm) and pretty high feet (23 cm), this model will be comfy for people of any height. The upholstery is made of high-quality PU leather. Not only does it look great but also it is easy to maintain. You can simply wipe the chair with a damp cloth. May not be comfortable for tall people. 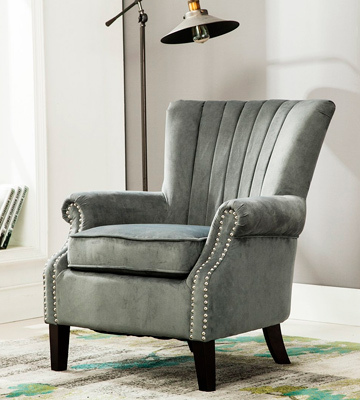 The Queen Ann Wingback Chair from ANGEL HOME& LEISURE will make you feel like royalty. It has a wooden mahogany frame with matching upholstery and decorative golden finish on the wings and armrests. 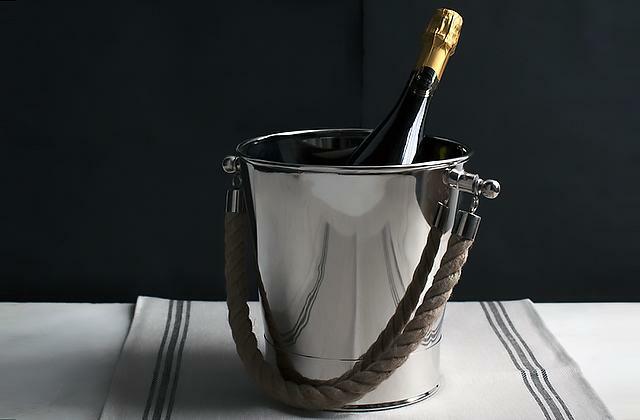 It is perfect for the lounge, reception or office. 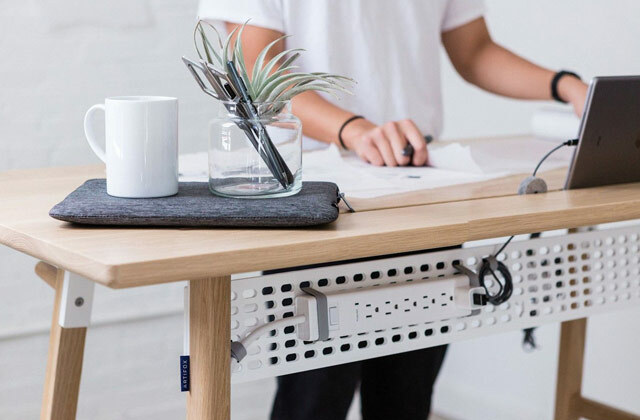 This model stands out thanks to the superb lumbar support. It will especially fit those who have back problems. And a push-back recliner mechanism allows you to not only sit but also lie in it. Assembly is a bit fiddly. 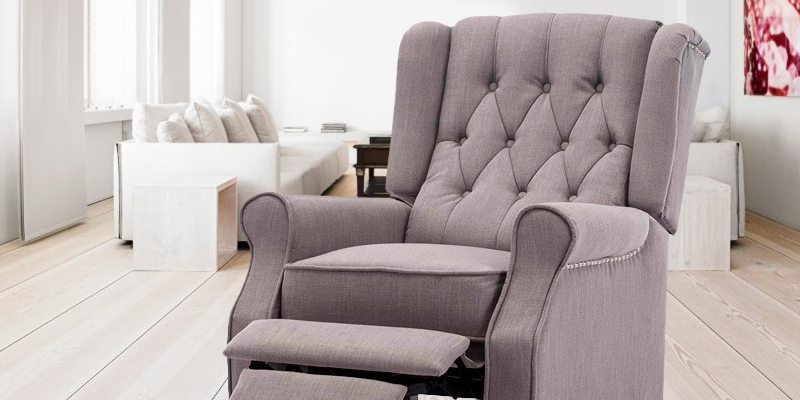 The More4Homes Wingback Armchair is a functional piece of furniture for those who want to make their living room a bit cosier without paying too much. Also, it comes in 6 colour options. The upholstery material and the framework are completely fireproof and meet all the UK safety regulations. Pretty heavy, so it will be hard to move around. Thanks to push-back recliner mechanism and an extendable footrest, you can sit comfortably and even have a nap. The More4Homes armchair will make you feel relaxed the moment you sit in it. The velvet upholstery is really nice and soft to the touch. You can also choose a model with cushioned velvet, which will quickly become your favourite place for rest. Colour may be a bit different in reality. This elegant classic chair is a perfect option for small rooms. 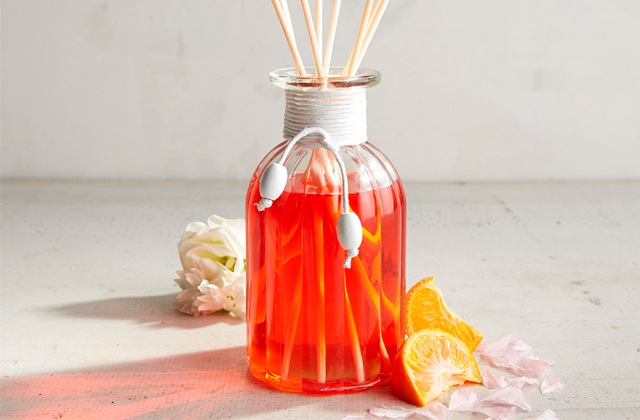 It will fit into any a room and will add some cosiness to it. It comes in 4 different colours. The EURODIVANI presents an orthopaedic chair which will fit literally any user. 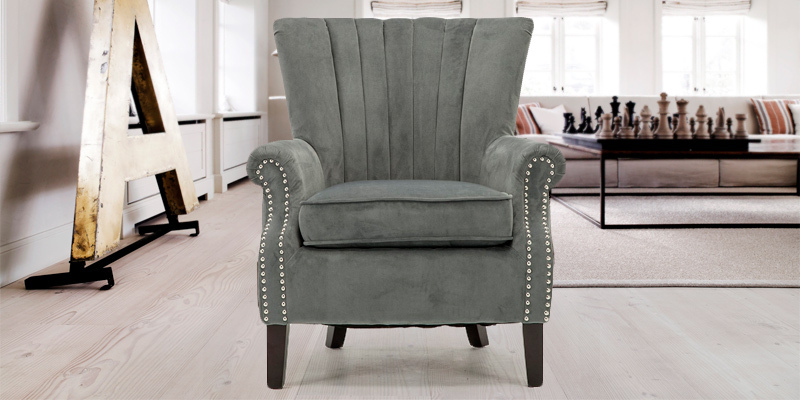 The filler of this wingback armchair ensures medium to firm support of the torso. Hence, it is comfortable for elderly and disabled people. And a straight back helps you improve your posture which will positively affect your spine. As for the dimensions, this model is pretty big and will be great for medium or large rooms. Thanks to the high back (70 cm) and pretty high feet (23 cm), this wing armchair will be comfy for people of any height. Moving on to the design, the exterior is made of hard-wearing chenille fabric. Apart from the brown one, there are models in green, ruby, silver, beige, light green and aubergine colours available. The armchair is fitted with 4 wooden legs, but we want to warn you that they need tightening regularly. Other than that, users seem to have no trouble with this wingback armchair. Also, we would like to mention that when purchasing the EURODIVANI Wing Chair, you get a 1-year warranty on fabric and a lifetime warranty on frame. So you can be sure this piece is worth the money since it will serve you well for a long time. The EURODIVANI Wingback Armchair stands out thanks to its quality and robustness. 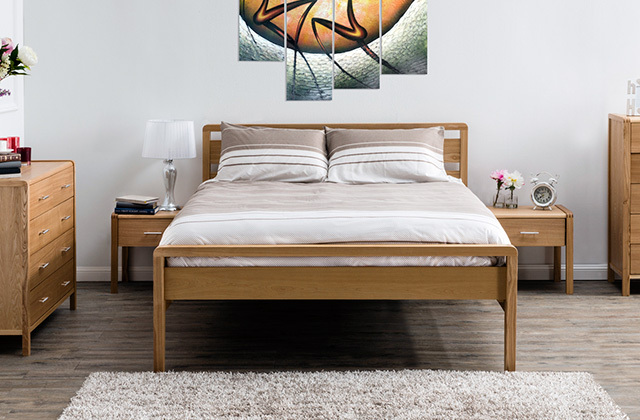 It will suit your living room, bedroom or even office. 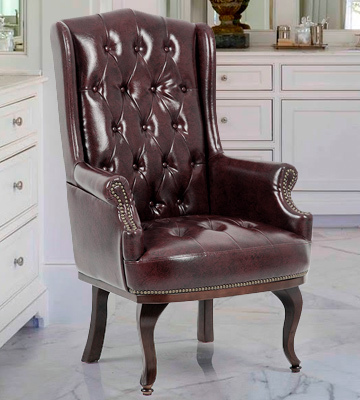 With the Queen Ann Wingback Chair from ANGEL HOME& LEISURE, you will indeed feel like royalty. 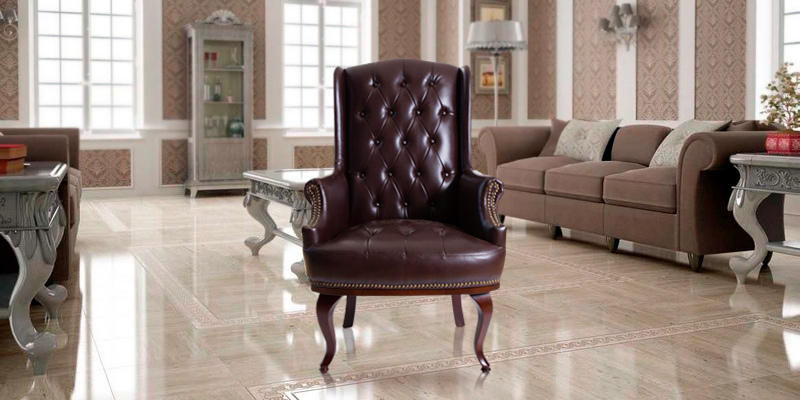 This massive leather wingback armchair is comfortable to sit in, looks great and is easy to maintain. First things first, it has a pretty decent size. The height of the unit is 114 cm, the width is 67 cm and the depth is around 60 cm. The sitting width equals 20 inches (51 cm). The weight is about 20 kilos, which is not that big for such an armchair. It also requires minimal assembly. All you need to do is just attach the legs. The antique armchair stands on 4 legs. However, some of the users point out that they could be a bit taller because it may not be comfortable for tall people. Yet, if you have an average height, you will enjoy sitting in this armchair. Also, adding a footstool next to a chair is a good idea. 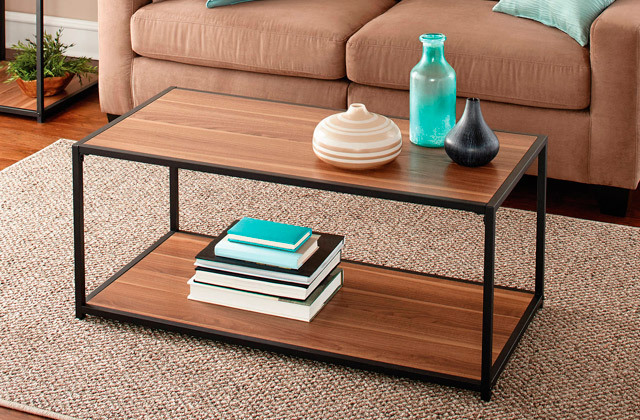 You can find one in our list of best ottoman coffee tables. This leather wingback armchair has a wooden mahogany frame with the matching upholstery and decorative golden finish on the wings and armrests. The upholstery is made of high-quality PU leather. 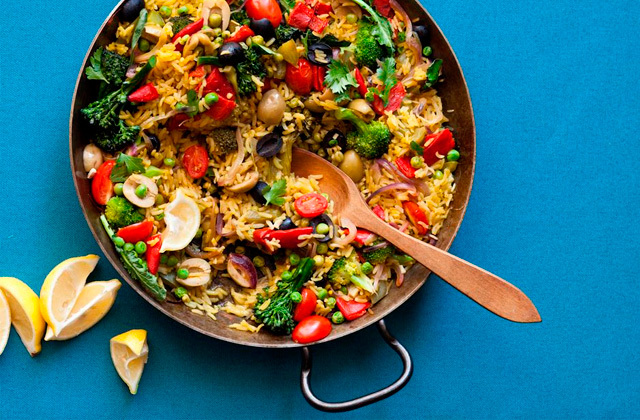 Not only does it look great but also it is easy to maintain. You can simply wipe the chair with a damp cloth. 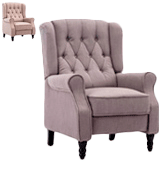 To conclude, the ANGEL HOME& LEISURE Queen Ann Wingback Chair is a comfortable and beautiful piece of furniture. 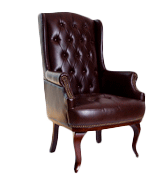 It is the best wingback armchair for the lounge, reception or office. 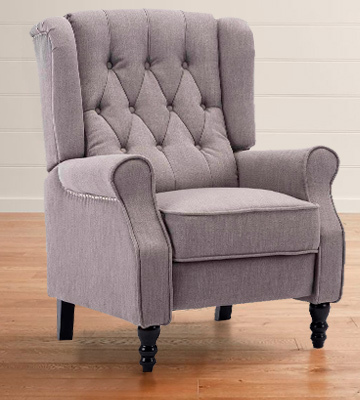 If you are looking for a soft, cosy chair for your living room, we recommend checking out the More4Homes EATON Wingback Chair. First, this modern piece of furniture is fitted with a push-back reclining mechanism that allows you to not only sit but also lie in it. All you need to do is put your hands on the armrests and lean back. The armchair will recline under your bodyweight. We also really like that it has an extendable footrest, so you don’t need to purchase an extra footstool or ottoman to make your legs feel comfy. The assembly of the unit may be a bit complicated though, but trust our word: this chair is worth your time and effort. As for the exterior, this model is made of the high-quality herringbone fabric. 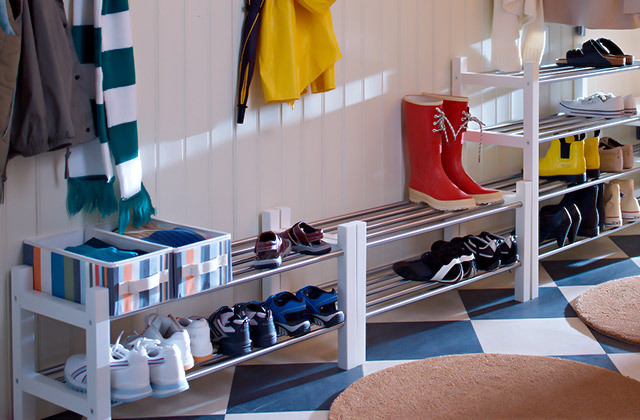 It comes in 6 six colour options, such as blue, grey, beige and herringbone variations of these colours. 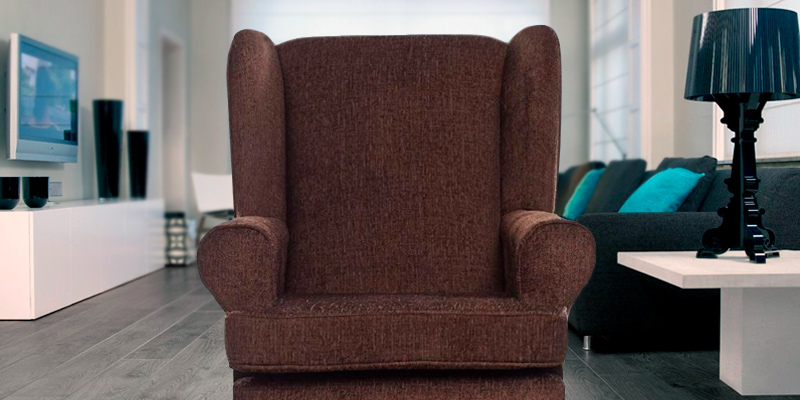 What is more, this contemporary wingback armchair stands out thanks to the superb lumbar support. It will especially fit those who have back problems. 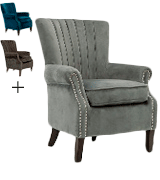 To sum up, the More4Homes EATON Wingback Chair is the best wingback armchair for those who want to make their living room a bit cosier without paying too much. Put this armchair in front of the TV, turn on your favourite film or grab a book, and you can enjoy it while sitting or while lying down. 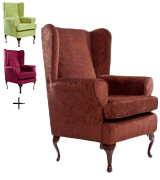 The ALTHORPE Wingback chair is a pretty basic model from More4Homes that still has a few aces up its sleeve. This item will become a great centrepiece for your living room. You can also put it near the fireplace. The upholstery material and the framework are completely fireproof and meet all the UK safety regulations. By the way, there are two options for the linen exterior available (in Marl Grey and Pumice). Next, this chair is pretty big and cosy. The dimensions are 105 x 78 x 82 cm, so you can comfortably settle in it with a book or a cup of tea. Yet, we want to point out that the weight is pretty heavy as well (35 kg). Since it is so heavy, you may have some difficulties with moving it around. But if you have no intentions to do so, this shouldn’t be a big issue for you. 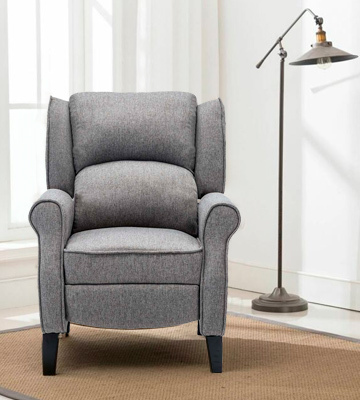 The More4Homes has a few wingback chairs that feature a push back recliner mechanism and an extendable footrest, and this model is not an exception. So, if you like to rest not only in a sitting but also in half-lying position, this piece will fit you to a T. Plus, you can even take your favourite wool blanket and have a nap. 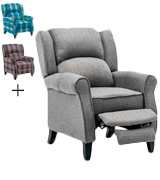 All in all, the More4Homes ALTHORPE Wingback Armchair will make you feel relaxed the moment you sit in it. Any user who values comfort should love this chair. 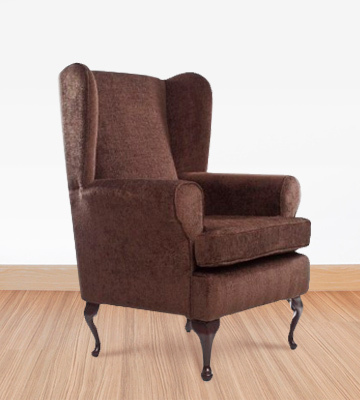 If you are limited in space and looking for a small affordable wingback armchair, the OLENKA VELVET Wingback Chair is what you need to buy. Compared to its counterparts, this model has a pretty modest size (86 x 73.5 x 77 cm). The weight is small as well - only 16.5 kilos, which makes this chair almost two times lighter than other wingback chairs. 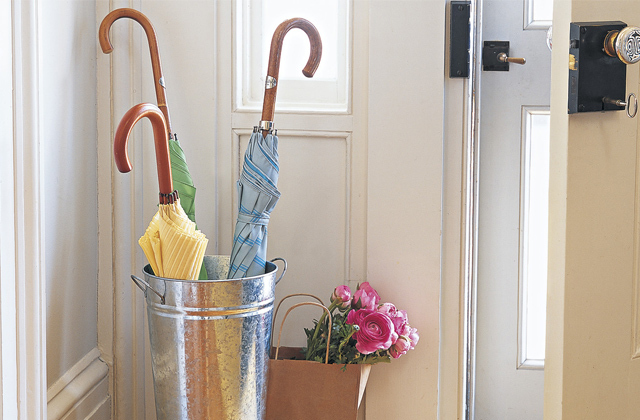 It is great for the corner of a small room, plus moving it won’t be a very big problem. What makes this model stand out is the luxurious outer part. The velvet upholstery is really nice and soft to the touch. You can also choose the model with cushioned velvet, which will quickly become your favourite place for rest. There are also several colour variations of the OLENKA velvet armchair. However, a lot of users point out that in reality, the colour may be a bit different compared to what you see on the screen. Yet, this difference is pretty subtle, so we wouldn't call it a big con. What is more, this armchair comes at a very reasonable price. 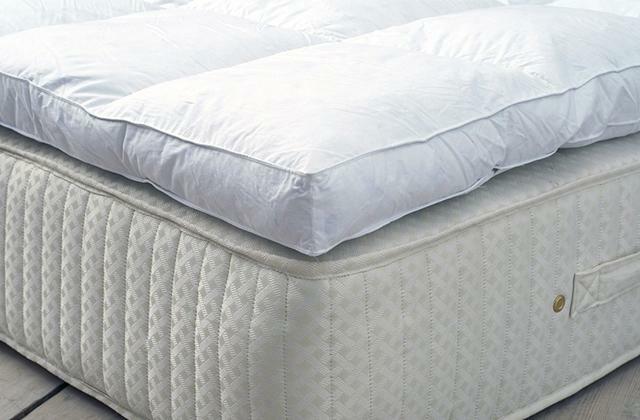 If you don’t want to spend a lot of money yet you want to get premium rest, we highly recommend purchasing this model. So, if you need a soft and budget-friendly piece of furniture for a small room, you will be hard-pressed to find a better option than the OLENKA VELVET Wingback Chair. Purchase it and rest in comfort. What Is a Wingback Chair? There is nothing better than making a cup of hot tea, taking an interesting book or turning on a favourite film and sitting back in a big comfy armchair. If you can agree with that, you may want to add a wingback armchair to your living room. This piece of furniture is basically an ordinary armchair with wings that sometimes can go down to the armrest. It encloses your head and upper body in order to provide extra comfort. Such a design decision also helps makes the chair very practical especially during cold seasons since it can trap the heat if you sit in front of a fireplace or heater and protect you from drafts. On the modern market, you can find different models with various shapes of the wings to fit the taste of any user. Such armchairs can be upholstered with different kinds of fabric including leather and velvet. Of course, there are various colour variations as well for different interiors. To help you decide on the best wingback armchair, we’ve selected five top-rated models that will fit any taste and wallet. If you look for other comfortable pieces for your house, we recommend checking out these massage chairs.